Our fruits based Blaze Trails Bars give you high-quality energy from natural unrefined sources cold pressed together to retain their natural goodness. 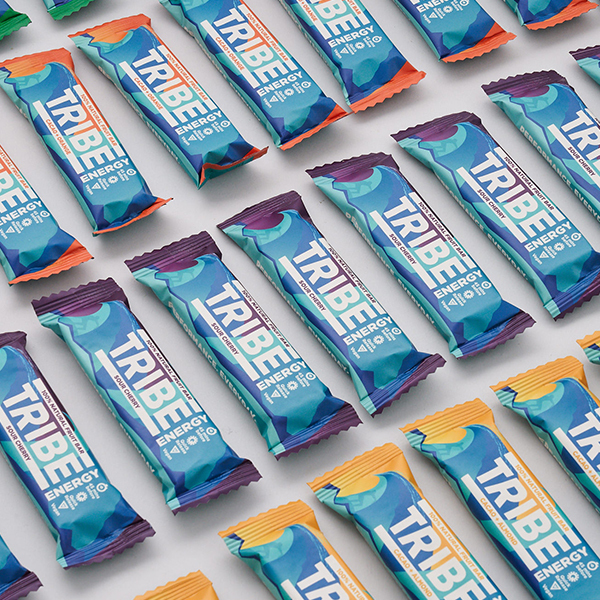 TRIBE Energy bars provide natural energy from a wholefood blend of coldpressed fruits, nuts + nutrient-rich ingredients such as antioxdant-packed sour cherries. Each bar is 100% natural, vegan, has no added sugar and is a great source of natural energy. Built for performance. TRIBE Energy bars provide natural energy from a wholefood blend of coldpressed fruits, nuts + nutrient-rich ingredients such as lucuma powder. Each bar is 100% natural, vegan, has no added sugar and is a great source of natural energy. Built for performance.